GRC Ltd. has signed a Representative Agreement with Thales Defence and Security, Inc. (TDSI) — this agreement will enable GRC to market a range of Thales products in key European and international markets, offering customers in these regions sales support, expertise and greater access to Thales market leading products and solutions. 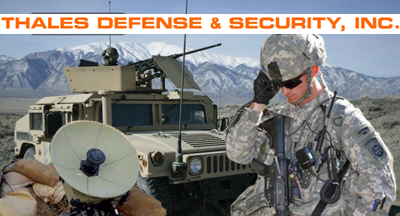 The products that GRC will be handling include the Thales IMBITR multiband inter/intra team encrypted radio system and the full range of Tampa Microwave (a Thales company) Manpack Satellite Terminals. GRC’s Managing Director Iain Pope said that the company is extremely pleased to commit to this relationship and looksforward to developing the range of Thales products available to these markets. GRC has a successful history working with Thales radio and satellite products and this partnership will further enhance the firm's ability to provide end users with the best communications solutions.